While the Tea Party has a natural ally and source of leaders in the Republican Party, Occupy Wall Street so far lacks similar assets. Perhaps these will come in time. President Obama may decide to front-run the movement or try to turn it to his purposes. Democrats, especially congressional leaders, have been slow to embrace Occupy Wall Street. The Democrats' reticence is not surprising given their dependency on corporate donations for reelection campaigns. And perhaps the name "Occupy Wall Street" is too militant sounding for Democrats' milquetoast tastes, though militancy, far from hampering the Tea Party, has been a boon. Naive political purity tests and anti-democratic unwillingness to compromise for the common good are hallmarks of the Tea Party. These attributes have contributed mightily to its impact and to congressional gridlock which suits Tea Party purposes just fine. Occupy Wall Street's challenge is the greater for requiring positive action rather than stalemate. Occupy Wall Street activists have correctly identified corporate personhood and all that flows from that corrupting notion as a root cause of our most pressing economic and political problems. Our increasingly corporatist economy, characterized by historically low and flat tax rates, market instability, and capital friendly, labor hostile public policies, has crushed the middle class. Beginning with the Reagan administration trillions of dollars of wealth have been transferred from the middle class to the already rich. The wealth gap has grown to pre-Great Depression dimensions, a recipe for economic holocaust and social instability. Occupy Wall Street is up against the ultimate adversary. Corporate America has unlimited funds, hordes of lobbyists for every Congressman, and a cooperative and activist conservative 5-4 majority on the U.S. Supreme Court. Ultimately, statutory law may be inadequate to the task of taming runaway corporate power and greed. A constitutional amendment may be required to drive a stake through the heart of corporate personhood, no mean feat. Occupy Wall Street must acquire big time political sponsorship and leadership or their movement will sputter and die. If activists fail to turn their outrage and enthusiasm into political power their movement will accomplish little. Being right is not enough. It never is. 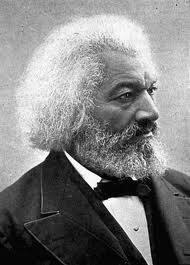 As escaped slave and leader of the abolitionist movement Frederick Douglass said, "Power concedes nothing without a demand. It never did. It never will." All ad click revenue is contributed to non-pandering (okay, least pandering) politicians. "I never did give anybody hell. I just told the truth and they thought it was hell." Panderbear considers pandering the lowest form of prevarication, because the panderer sets out specifically to take advantage of panderees' credulity and lack of knowledge. Bad panderer! In a previous incarnation Panderbear was a physicist and computer scientist at a well-known national laboratory. When not jousting at pandermills, Panderbear is birding. Good birdie. "I've had a perfectly wonderful evening.